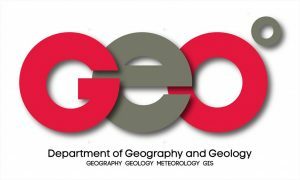 BOWLING GREEN, Ky. — Petroleum Experts Limited has donated the equivalent of $2.18 million in MOVE software to WKU’s Department of Geography and Geology. This software donation, which is a renewal of a previous donation, includes MOVE suites of analytical geological software, which is the most complete and comprehensive industry-standard modeling software for tectonics and structural geology. The donated software provides Geography and Geology faculty and students an exposure to top-of-the-line tools and methods available in geoscience data modeling, validation and uncertainty quantification. WKU’s Geology program offers structural geology, tectonics and fossil fuel courses for undergraduate and graduate students. The Department also participates in the Imperial Barrel Award Program (IBA), a global competition organized by the American Association of Petroleum Geologists. Utilizing the MOVE software, WKU was the 2017 winner and 2018 runner-up in the IBA Eastern Section competition. The software is housed in the LeGo (Landscape Geodynamics) Lab and StrataMax (Stratigraphy Maximum) Lab, which are equipped with the state-of-the-art workstation that also runs other cutting-edge, subsurface-analysis software. Graduate and undergraduate students and faculty members have been using the MOVE software to integrate data from remote sensing, digital elevation models, seismic, well logs and GPS-based fieldwork to develop advanced structural/tectonic 3D models to understand geological evolution of an area, particularly in the context of hydrocarbon exploration.